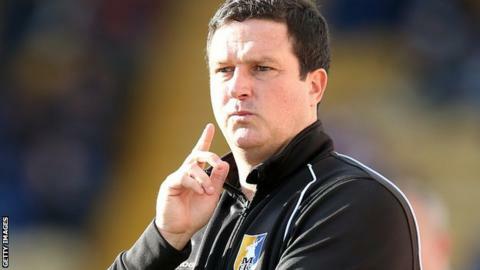 Torquay United manager Paul Cox says his side must get mentally tougher after their 2-2 draw at Grimsby. The Gulls led 2-0 until the final 22 minutes when the home side fought back and gained a point. "We've got a lot of young players in the dressing room that I think need to develop mentally," Cox said. "Their concentration levels, their ability to stick at jobs for the 90 minutes, but that will come the more this group play together." The Gulls have won two and drawn one of their opening five games in the National League under new manager Cox. "I just need to keep raising the bar for them and I think that's what I'm disappointed about. You go away from home and and you're 2-0 up you close the back door up and you win the game. " Cox added to BBC Radio Devon. "We need to learn quickly, but I've got to be a bit patient with these boys. "We can improve, but we haven't done badly in these games and we have played some big sides in this league that have aspirations to win this league. "It's about educating. I've got a lot of young babies, I've often joked after they've got out of the showers that there's nappies on the floor some of them are that young. "It's just that bit of game management and concentration and experience gained in these situation that we need to work on."